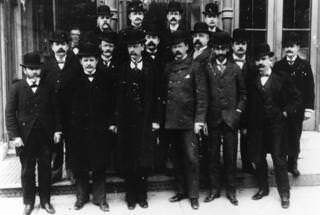 In 1889, Willard L. Bundy, a jeweler and inventor, and his brother Harlow, a young entrepreneur, began manufacturing time recording clocks in downtown Binghamton, New York. 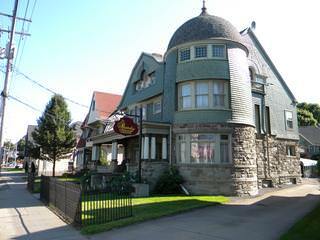 In 1892, the Elfred Bartoo-designed Queen Anne style home was built at 129 Main Street for Harlow and his wife Julia. 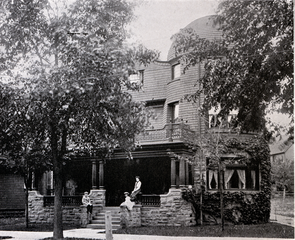 The couple and their children Helen, Bruce, and Margaret, lived in the house until 1906. As the family grew and flourished, so did the Bundy Manufacturing Company. 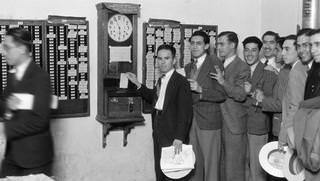 By the turn of the 20th century, thousands of workers world wide were clocking in on Bundy Time Recording machines. By 1924, Harlow Bundy’s company had grown to become International Business Machines - IBM. In what was their home, The Bundy Museum opened in 2004, with the mission of preserving the house and the history of the Bundy brothers, family, and company; celebrating the elegance of the Victorian era; and promoting the arts. 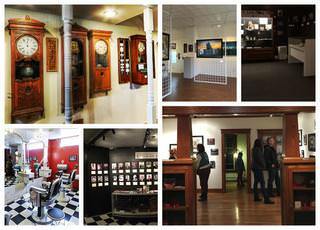 The Bundy Museum of History and Art includes: the National Register listed Harlow E. Bundy House; three ever-changing local art and history galleries; the Bundy clock exhibit telling the history of the Bundy Manufacturing Company; the Rod Serling Archive, memorializing one of Binghamton’s most famous residents; the Southern Tier Broadcasters Association Hall of Fame; the vintage barbershop exhibit, preserving what was once an integral part of IBM’s corporate culture; Binghamton Photo Community Darkroom and Gallery, giving the public access to photo developing and featuring the work of local photographers; and WBDY-LP 99.5 FM, a community radio station broadcasting locally produced music and content throughout the Greater Binghamton area.